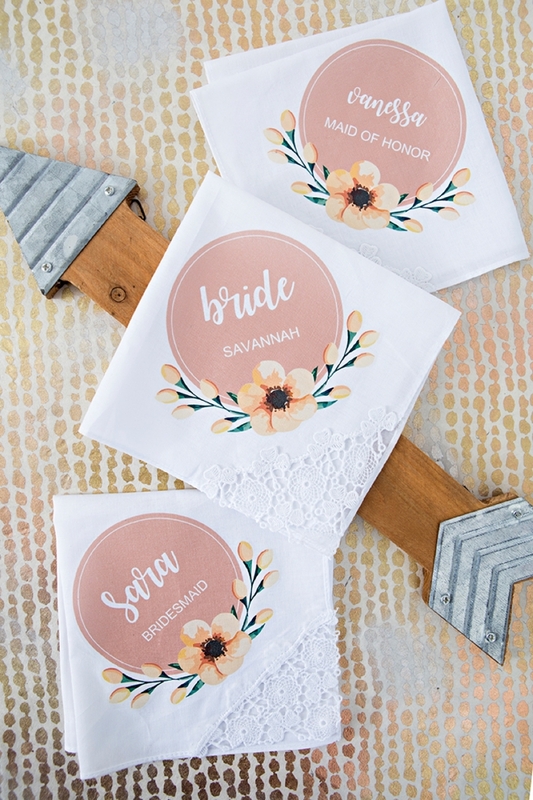 These DIY Personalized Wedding Handkercheifs Are Just The Cutest! 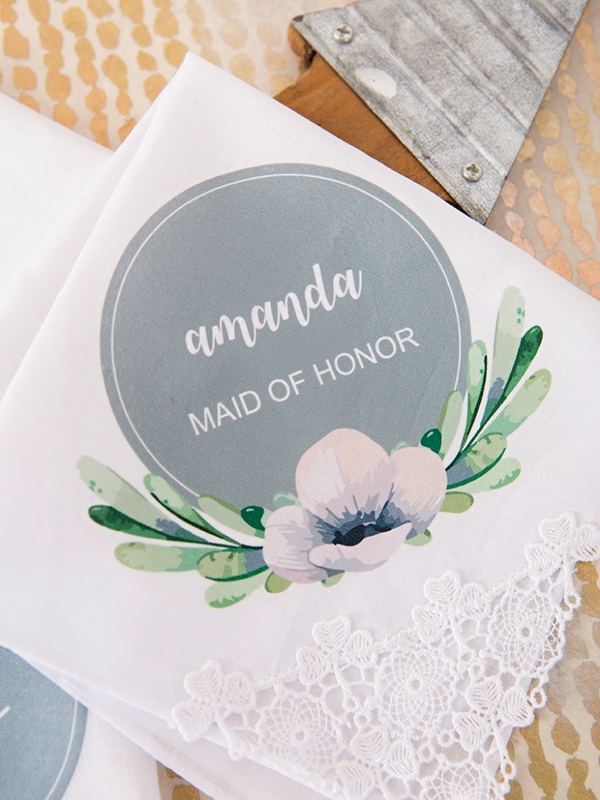 On this fabulous DIY Friday, we’re personalizing some adorable handkerchiefs for your entire bridal party! 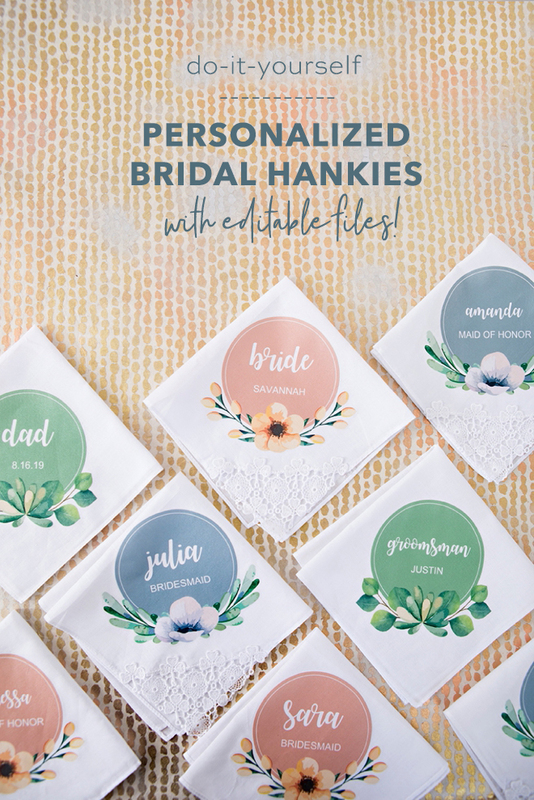 From Mom and Dad to your Maid of Honor and Groomsmen, we’re sharing free, editable designs in three different colors. 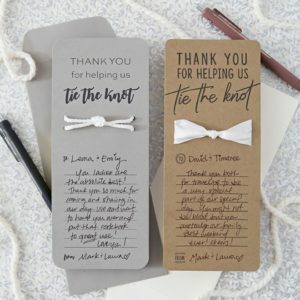 This quick project, that is also budget-friendly, will be a wonderful addition to your bridal party gifts or something sweet to give them on the morning of your wedding. 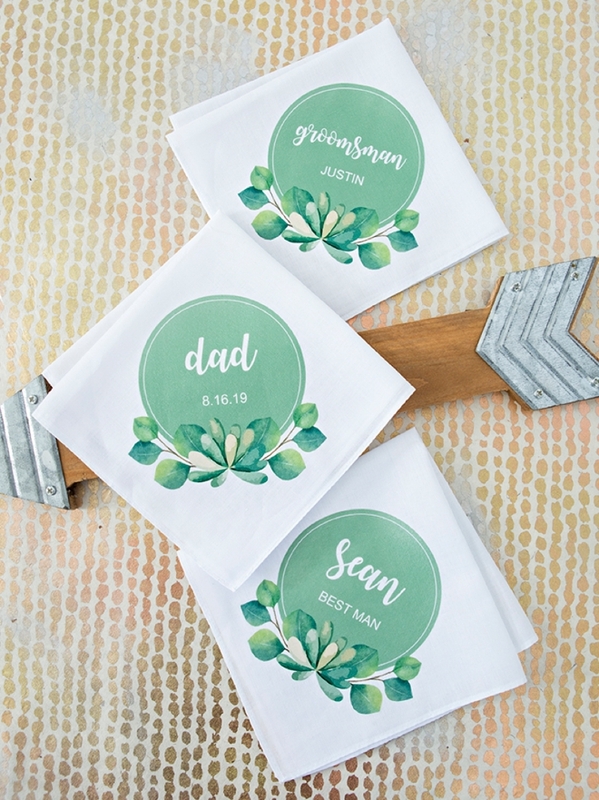 I know they don’t look like we used “iron-on” but we did, it’s the print from our Canon TS9020 that makes them look so good! 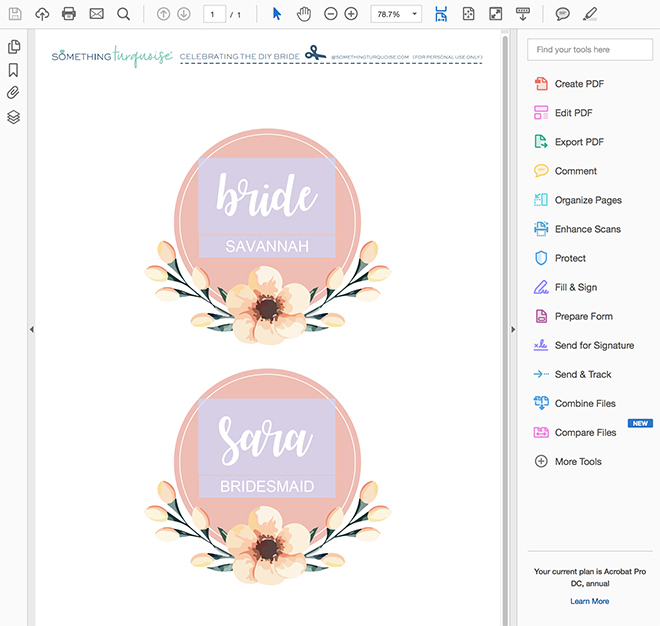 We have 3 editable design files for you in 3 different colors. 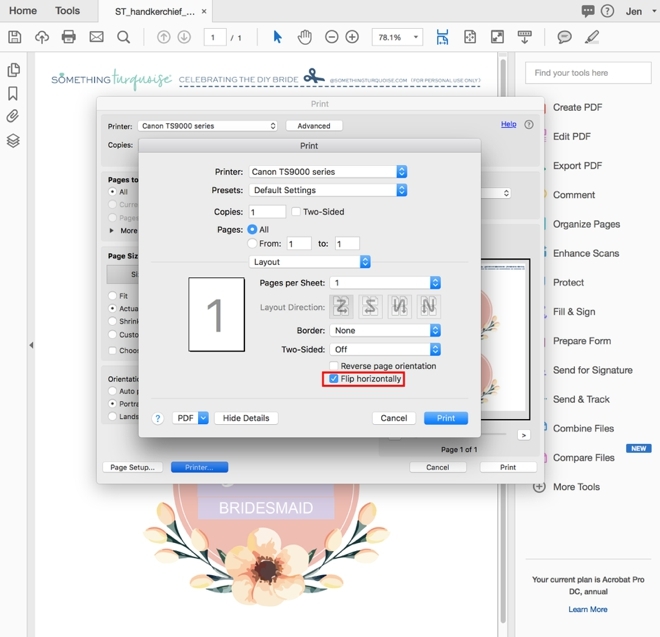 We have the large scripty font, where you can add shorter names and words. Then the small scripty font for longer names and words. Finally we’re also sharing a fully blank design for those who are a little more design savvy and would like to add their own wording. 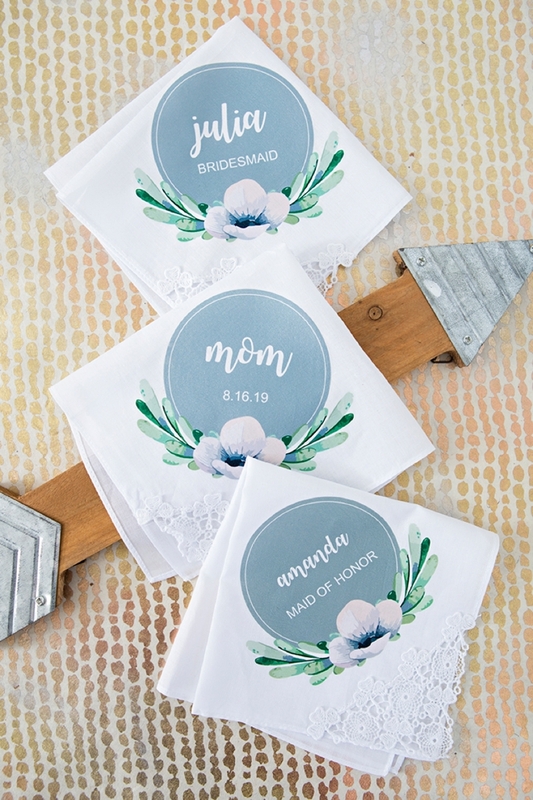 We’re sharing all three types in peach, gray and green at the end of the post! 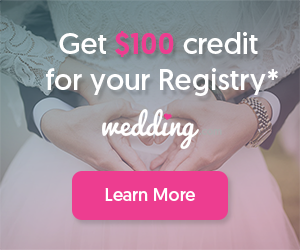 Our FREE, editable designs at the end of the post! 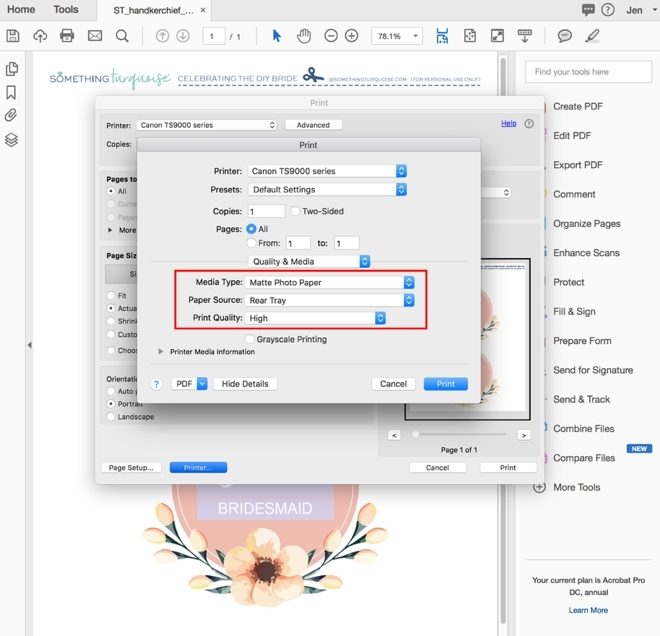 After you download the .zip folder of files at the end of the post, open the design you’d like to use with Adobe Reader or Adobe Acrobat to edit them. Click on each box to add the wording that you’d like. Save the file. 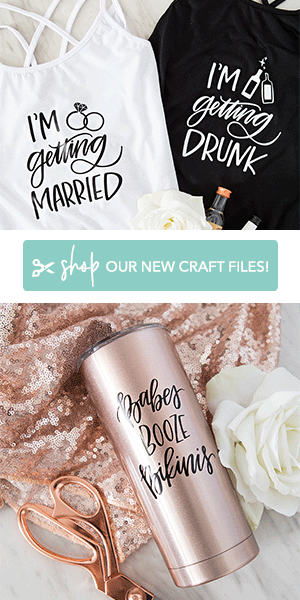 Script Font: Watermelon Script, download it for free! San-Serif Font: Ariel, everyone has this already! 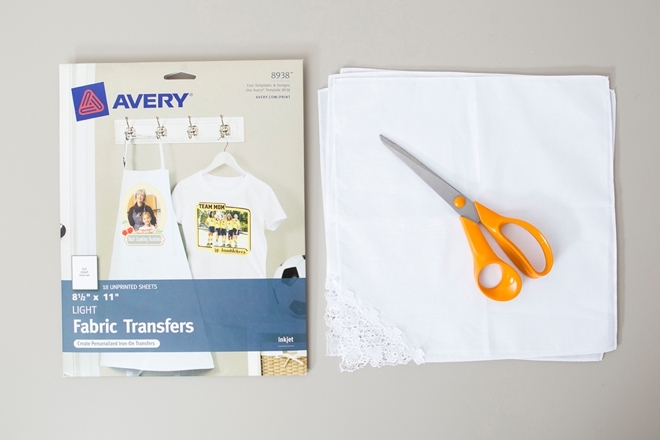 To properly print these for iron-on, there are two settings you need to be aware of. 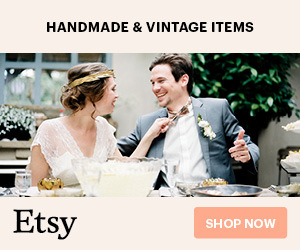 Click to choose them both within the printer box pop-up. 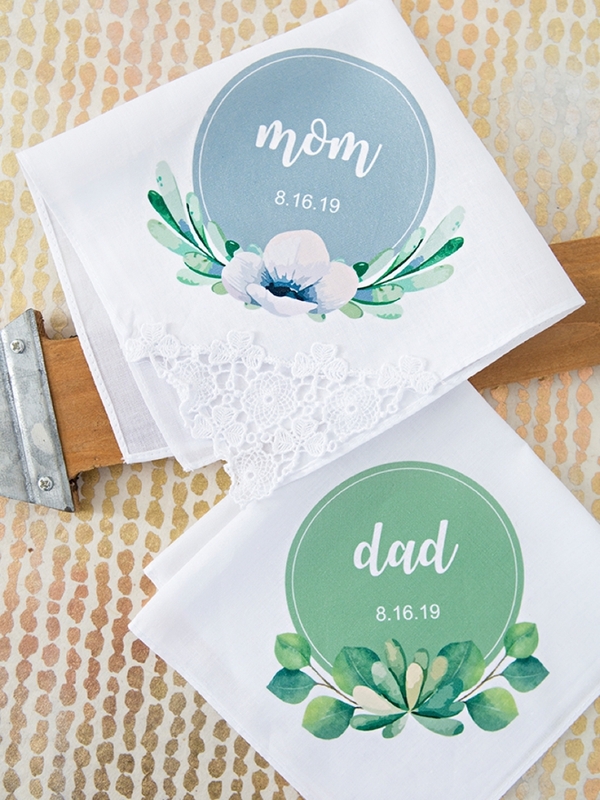 Print your personalized designs onto 8.5″ x 11″ iron-on material with your favorite Canon printer and then carefully trim each design as close as possible. Yes, you can use an iron and most of you will. 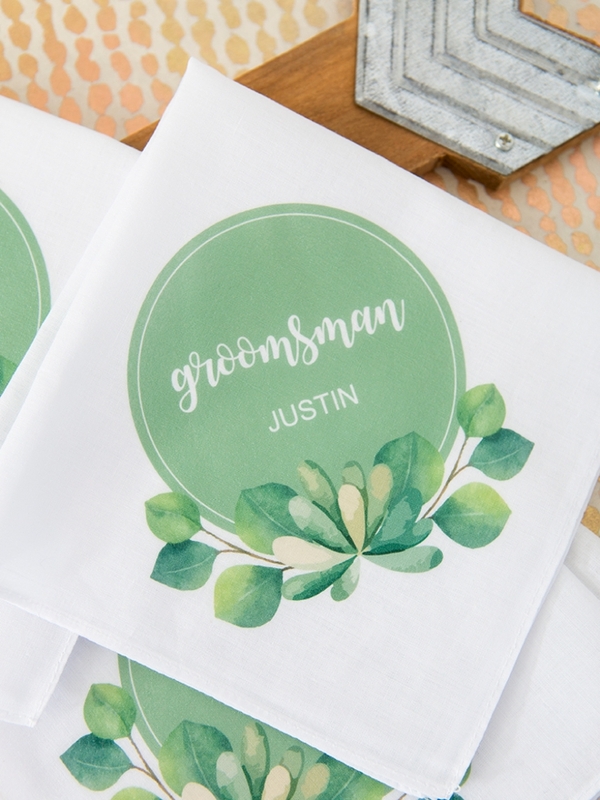 I just happen to have the Cricut Easy Press, which is by far better than any iron on the market, it’s like an iron and a heat press combined. I set mine for 345º and did 30 seconds on the front and another 30 seconds on the back and the transfer came out perfectly! Follow the directions on your iron-on package. That’s all there is to it! 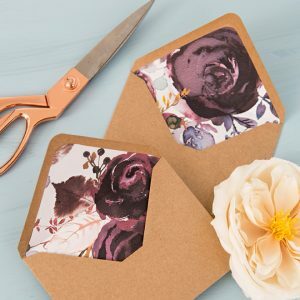 Edit, print, cut, and iron. 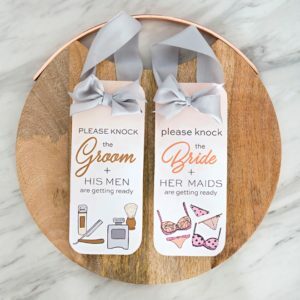 You’ll easily be able to create these sweet gifts for your entire bridal party in just one evening. Absorbing happy tears has never looked better!